The Hummer H2 is an ideal vehicle for many occasions, to transport up to 16 passengers in style and comfort. Our Hummers comes equipped with a lot of entertainment for your journey whatever the occasion. The custom built machines are made with one thing in mind and that is our Customer. The exterior of the stunning Hummer H2 makes it stand out from the rest and can give that extra touch of presence to any event. Be noticed when you hire our Hummer H2 Limousine and get chauffeured to your chosen location. 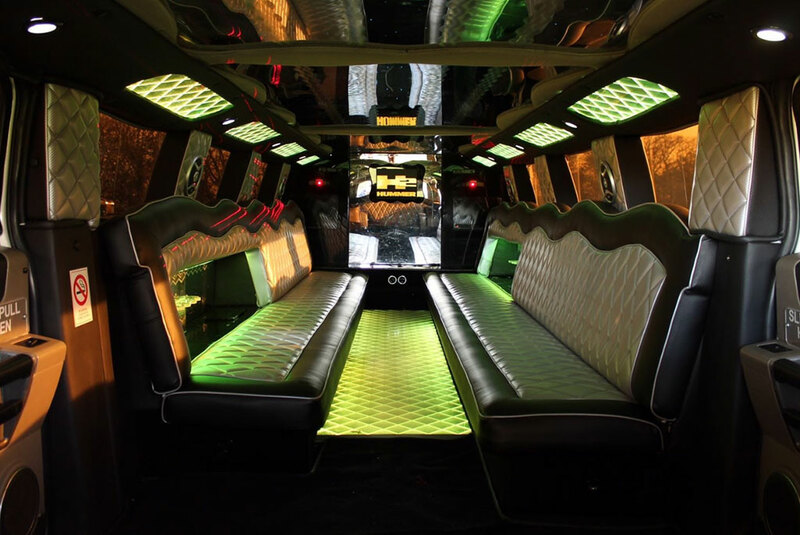 The Hummer H2 Limousine is a real party limo, perfect for a big night out or any occasion. The Hummer is the limousine of choice for numbers of top celebrities including pop stars and Hollywood actors, so you are sure to grab everyone’s eye arriving in Hummer H2. Convincingly elegant, admirable designed and finishing with luxurious interiors each Limousine on the SPM Hire fleet will make turn heads. 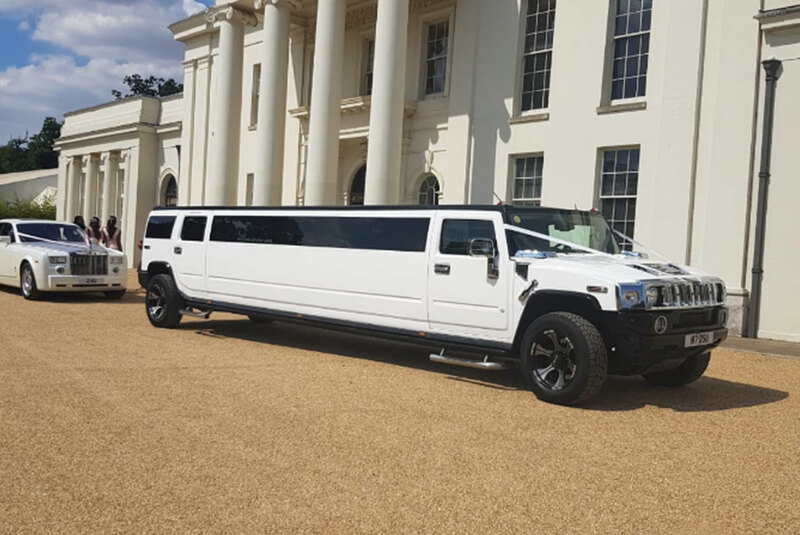 Available with professional chauffeur-driven service, our Hummer limos are built to the highest standards and ideal for the most special occasions in life. You’ll love riding in a classy and comfortable Hummer H2 limo. White Hummer H2 Limo is a very familiar and popular limo that grabs everyone’s attention from wherever you pass. If you are looking for limo hire for attending a Bachelorette party, Bachelor party, Prom night, or simply just having a date night and you need to do it in class and style then look no further! The interior of Hummer H2 stretch limo has a floor lighting, loud back-lit seating area, mirrored walls, running roof lights, and of course, an unbeatable sound system that makes the interior of the Hummer H2 Limousine feel and look luxurious— like a night club. Riding in a Hummer H2 limo will add a touch of glamour to any occasion, and turn your ride memorable! 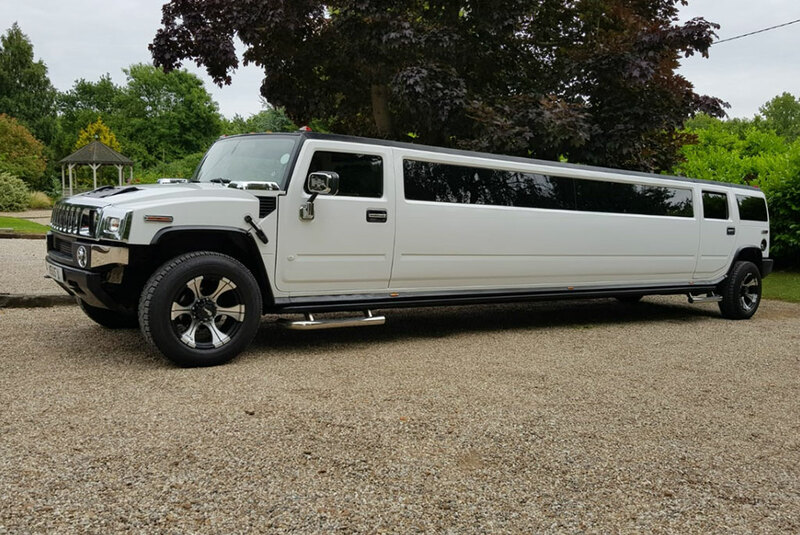 With Hummer limo hire make a statement and have a ride that you will remember! We offer a large fleet of elegant and classy limousines— clean, reliable and luxurious— according to your personal needs and demands. Limousines for all occasions are available at SPM Hire at affordable prices. Allow yourself to be bungled in one of our luxury limousines. When you merge our large fleet of exclusive, luxury cars with our highly-experienced chauffeurs and customer-focused service, you’re getting a premium car rental service that simply can’t be beaten.